When you hear “flash mob” you might think of a pre-planned dance in a spontaneous location. Don’t. 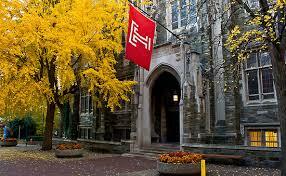 That is not the kind of flash mob that has occurred in Pennsylvania at Temple University’s main campus. The result has four young adults arrested and many victims struggling to recover. Friday night there were several cases of violence that erupted on the campus. Groups of around twenty young adults would target individuals or small groups and attack them. In some cases they stole their belongings. This included a cell phones and speakers. And many were injured. One young woman was beaten so seriously she was hospitalized. “These sick animals held her down and kicked and stomped on her repeatedly,” a man named Joe said of the girl. “Every part of her body is badly bruised. It makes me cry just thinking about it.” This woman was helped when some of the employees at a local pizza restaurant intervened. Her phone and potentially other items were also stolen during the attack. Altogether the number of youths that met up with the intent of causing violence was around one hundred and fifty individuals. One even was crazy enough to approach a police officer and punch him in the face before fleeing. Out of this entire group, only four have been arrested at this point. Hopefully others will come to be held responsible. This kind of violence is scary, especially coming from such young kids. Hopefully this will encourage the university to provide greater safety precautions to their students.